Crossfit community beverage darling Kill Cliff has a new CEO. On Monday the company announced the hire of Joe Driscoll, who takes the reins from Kill Cliff’s founder and longtime CEO Todd Ehrlich, who launched the brand in 2011. Ehrlich, who will remain on the Atlanta-based company’s board of directors, celebrated the news in a press release. Driscoll comes to Kill Cliff from organic snack brand Angie’s Boomchickapop, where he had been since 2013, most recently as senior vice president of marketing. Previously Driscoll spent 12 years at General Mills, working in a marketing capacity with food brands such as Wheaties, Lucky Charms, Cinnamon Toast Crunch and Pillsbury. Both Boomchickapop and Kill Cliff have relationships with Sherbrooke Capital, which is a current shareholder of Kill Cliff and sold Boomchickapop to TPG capital in 2014. The news of Driscoll’s appointment follows a string of hires at Kill Cliff as the brand continues its expansion beyond its core crossfit community base. Following its entry into Walmart at the top of 2015, Kill Cliff hired former Matador Distributing general manager Todd Tyler as senior vice president of operations and distribution. In September Kevin Wise, formerly of Aquahydrate, Cytosport and Redbull, joined the company as its national distribution manager. Also indicative of the company’s mainstreaming aspirations has been the recent launch of Kill Cliff’s cold brew coffee line. Made with Fair Trade-certified organic coffee beans, the brand’s cold brew line compliments Kill Cliff’s flagship workout recovery beverages. 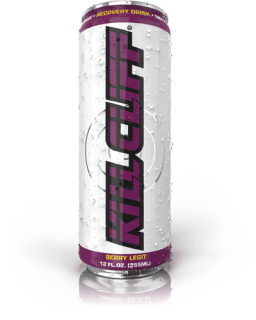 ATLANTA, March 1, 2016 — Kill Cliff Inc, maker of premium clean beverages, including Kill Cliff Recovery Drinks and Kill Cliff Cold Brew Coffees, to hire Joe Driscoll as C.E.O. Joe Driscoll brings with him 15 years of CPG experience in the consumer packaged goods industry and an impressive track record of success. Driscoll spent the last two and a half years driving the innovative popcorn brand, BOOMCHICKAPOP, to record growth. Joe joins Kill Cliff following his role as Senior Vice President of Marketing at Angie’s Boomchickapop, where he propelled the business to become one of the leaders in the fast-growth ready-to-eat natural popcorn segment. He joined Angie’s in 2013 following 12 years of business and marketing leadership at General Mills driving the growth of such iconic brands as Wheaties, Lucky Charms and Pillsbury. Joe also has extensive experience in acquisitions on both the buy and sell side. He led the General Mills acquisition of natural food maker Immaculate Baking in 2012 and drove the sale of Angie’s Boomchickapop to TPG Capital in 2014. Prior to joining General Mills, Joe earned his MBA at Notre Dame. more fans everywhere! ” says Joe. Founded and created by a Navy SEAL with the spirit of giving back to the community, Kill Cliff® makes epically tasty beverages: Kill Cliff Recovery Drinks and Kill Cliff Cold Brew Coffees. micronutrients your body needs without all the junk so many beverages have today. Kill Cliff Cold Brew Coffees are delicious, coffeehouse-quality cold brew coffee made with clean and simple, premium ingredients, ready to be enjoyed at a moment’s notice. Headquartered in Atlanta, GA, the Kill Cliff team includes accomplished military veterans and is absolutely committed to serving and supporting the Navy SEAL community. Kill Cliff honors the dedication and sacrifice made by these warriors and their families every single day by donating a portion of the proceeds through their Official Partnership with the Navy SEAL Foundation.